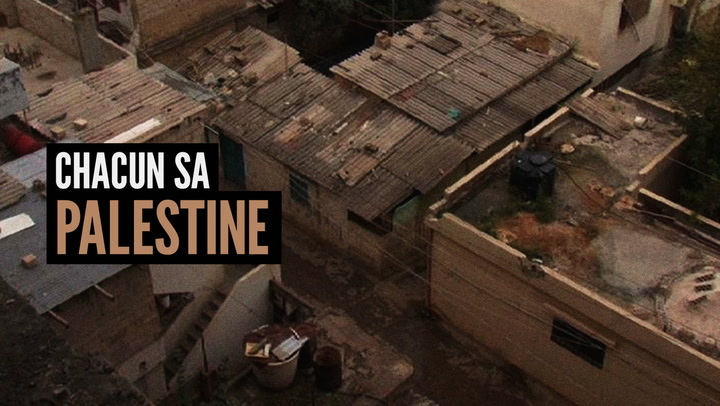 Directed by Nadina Naous and Lena Rouxel, this documentary is based on a simple game. Four Palestinian youths living in a refugee camp in Lebanon enter a photography studio, and each one has to choose either a landscape from New York, Beirut, Jerusalem or Paris to use as a background to give an interview. They speak about their ambitions and plans, and most importantly of their homesickness for Palestine, a country they have never been to.